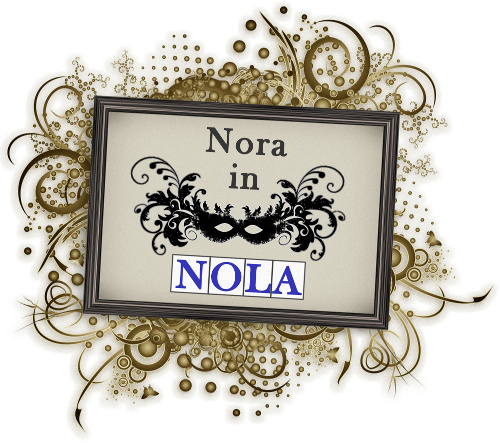 NORA in NOLA: The Mom has landed! Friday: picked Mom up from the airport and brought her to Brigsten's for dinner. 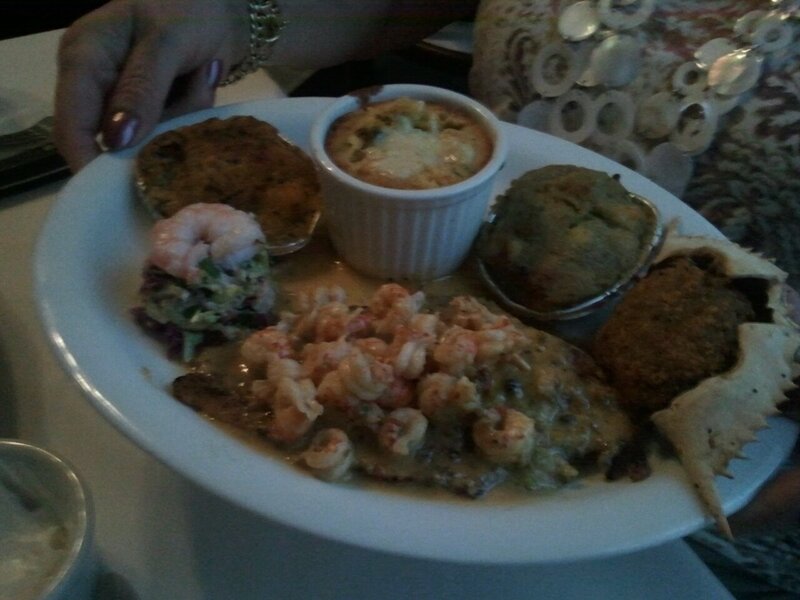 She had the seafood platter and loved, loved, loved it. Saturday: we'd gone to bed early, so we were early to rise. Mom and I drove into the French Quarter to have a look around before it got crowded. Went into a couple antique shops, Mom mildly needled me about needing a larger place so I could buy antiques, and I laughed. Went to one of the Praline Company gift shops on Royal (? or Chartres) and Mom bought some gifts, etc. We did some driving around to Frenchmen and the Marigny and then drove through the residential area of the Quarter a little bit. By the time we returned, it was time for our 11am reservation at Cafe Atchafalaya. I'd decided to bring Mom here as soon as I knew they had a make-your-own-bloody-mary bar. Because that is RIGHT up Mom's alley. 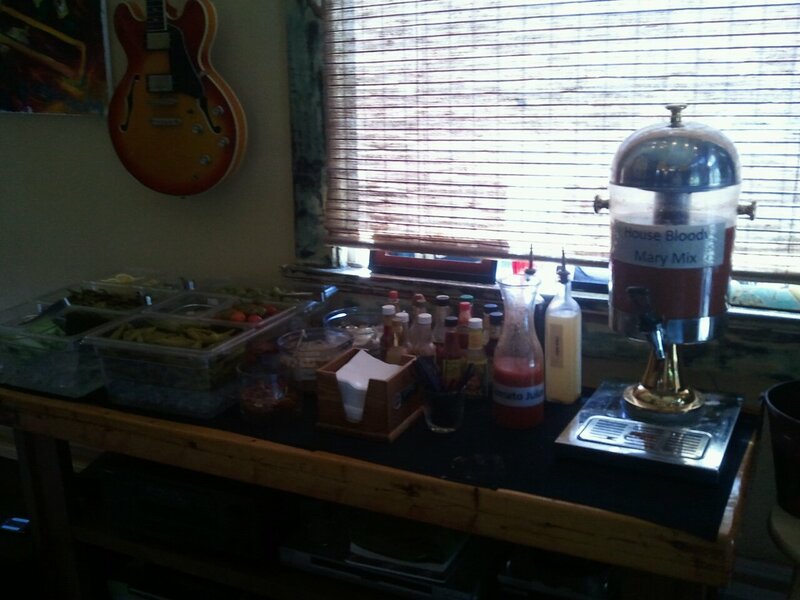 And indeed, she was like a kid in a bloody mary store. She went up a few times for some virgin mary refills. And the food was great, as usual- Mom had the Eggs Louisianne, which were poached eggs on Louisiana lump crabmeat crabcakes with a Creole hollandaise sauce (which she was still talking about today.) I had the duck hash, which was duck confit mixed with blueberries, mango, and homefries topped with poached eggs and hollandaise. Awesome. Tom had the bananas foster french toast, which he was very happy with. We brought Mom home to recover, while Tom and I went shopping for our cocktail party, that we'd organized so that our neighbors in the Irish Channel, the folks who have done so much to make us feel at home here, could meet the legend, the mom, the Joan. Well, that was some fun times I tell you what. Some wine, some beers, some fancy cocktails we batched ahead of time and put together (we were actually able to have the soiree at our friend's amazing courtyard)- the Income Tax ('tis that time of year, after all) and the Derby. Things get a little fuzzy for me around there, but I do know we ended up at Casamento's which was amazing. Mom had a dozen oysters, and Tom and I split a dozen. Mom had the seafood gumbo and the small fried oyster plate, and I had a bowl of the oyster stew. Tom ordered the fried crab claws. It was all so damn good. Sunday- brunch at Coquette, which was... OK. Service was all right, but not great, and the food was pretty good except one of mom's shrimps wasn't deveined, which, bleh. 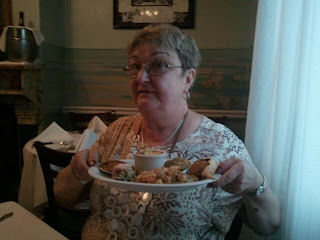 She loved the roasted oysters, though, and the beignets were great- the pot du creme was a mocha AND there was an additional dish of salted caramel. Afterward, we took a little stroll and checked out some shops like Storyville and Fleurty Girl. I bought two new large brimmed hats for the season, hooray! I got this one and this one. ... Sunday night gumbo tales! 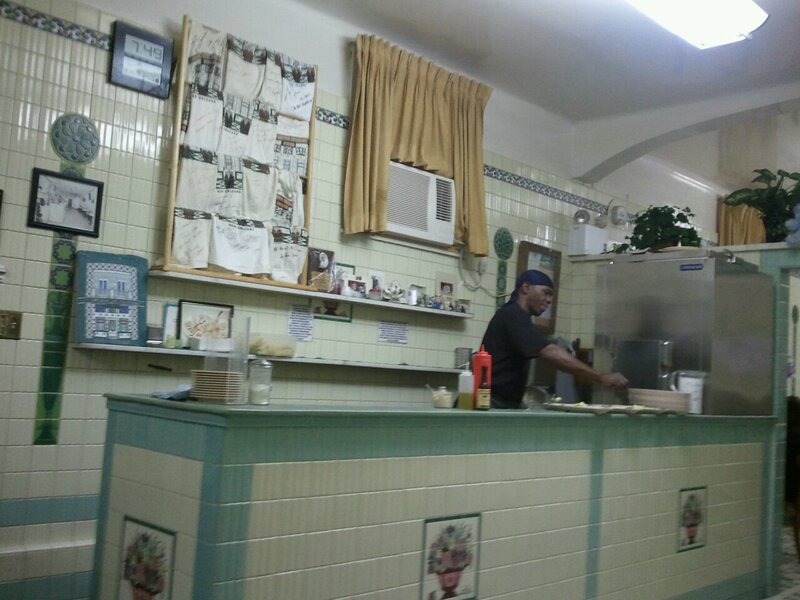 ... Monday breakfast from Freret Street Donut & Poboys, lunch at Commander's Palace (with 25-cent martinis), and dinner at Pascal's Manale! ... whatever the hell adventures Tuesday brings!